Isken was another long-serving pilot from JG77 - he scored 56 Victories, which included 17 four engined heavies. This signed photo is stamped on the rear with Isken's address and also annotated by Isken. 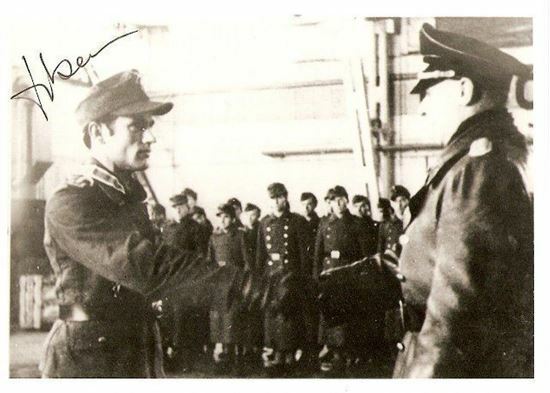 The photo shows Isken receiving his Ritterkreuz on 14th january 1945 from General Keller.